How much is an offer to join the Beatles worth? Well a letter giving one mystery drummer the chance to do just that has just been sold at auction for almost £35,000. 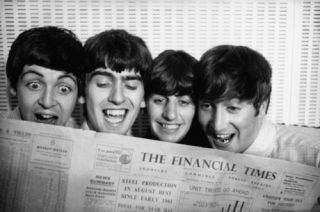 The letter, written by Paul McCartney, dates back to August 1960 when an unknown sticksman was offered the opportunity to audition for the band. That time period means it was written two years before Ringo took up the Beatles hotseat. A telephone bidder paid £34,850 at a London auction for the letter earlier this week.